Thanks for the Thank You Notes! 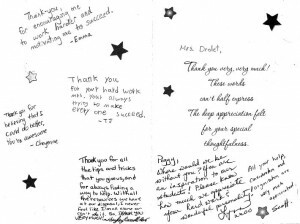 For teacher appreciation week, some of our online students expressed thanks to their online teachers. 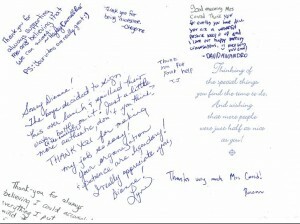 One school, St. Michael’s School, sent hand-written cards to all of the online teachers with whom they work.